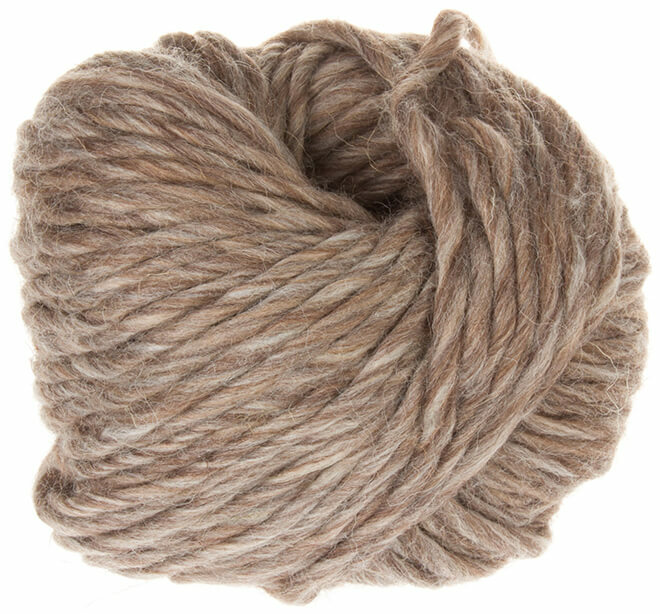 Sliver – combed, unpainted, and unbleached sheep wool, without fleece hairs. 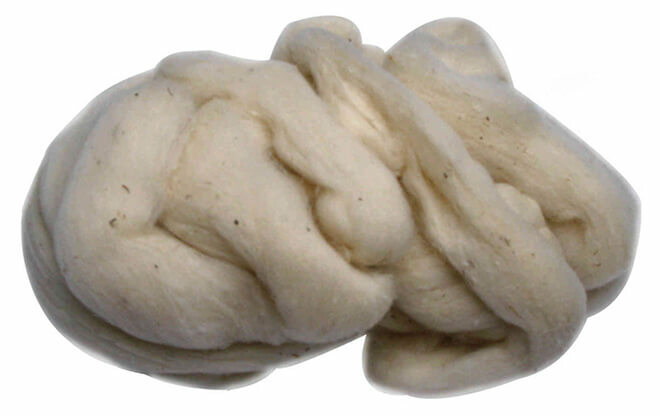 This type of wool serves as the raw material for making a tops (combed ribbon) and carded wool. 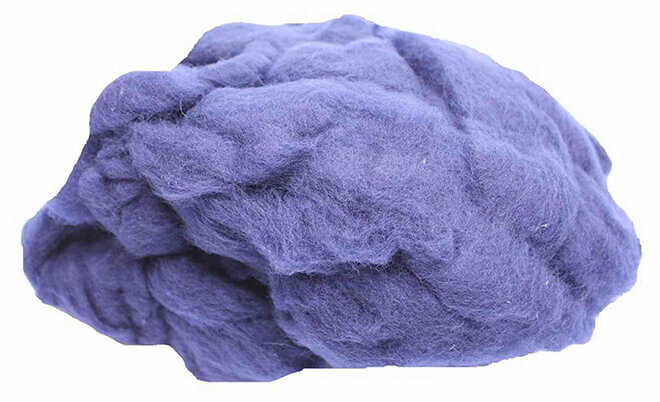 Sliver is also used as a basis for felting (1st and 2nd layers), with subsequent applications of wool of other colors. Sliver is sold as strands (lumps) or in the form of a ribbon, and may be gray, brown, or the color of melted milk. It lays well and costs much less than dyed wool. Tops (aka Combed Tape / Combed Ribbon) – wool which is carefully combed on a special wool combing machine. While in the machine, all of the fibers are stretched in one direction and laid in a ribbon. When felting tops wool, it must be laid out in layers perpendicular to each other, so that the hair clings well and lays properly. The raw material for the production of tops is a sliver of fine or semi-fine wool. 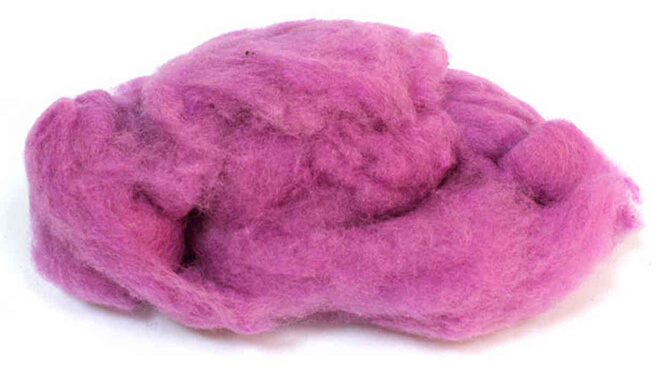 Tops is perfect for wet and dry felting. 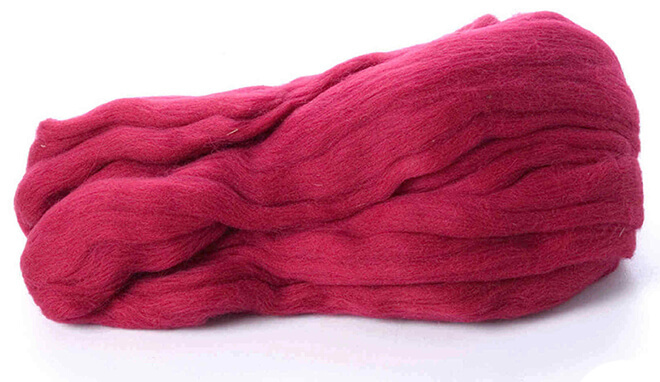 Carded – this wool has a loose texture, which is twisted in layers and is similar to cotton. Its fibers are short, retain their natural, crimped structure, and are arranged in a chaotic order; so the process of interlayer adhesion of wool begins almost immediately. 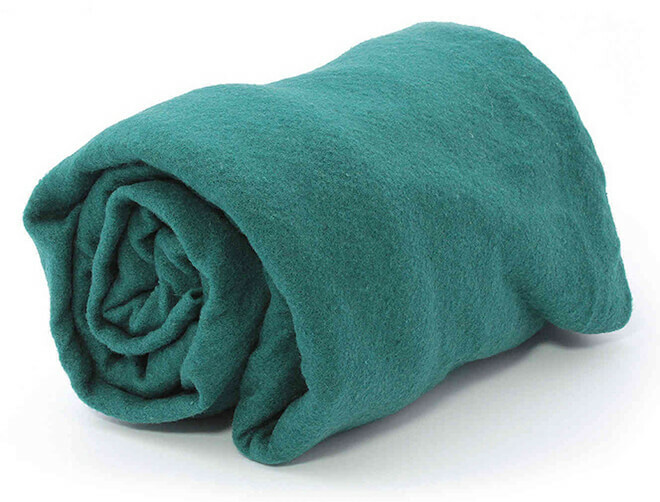 Carded wool can be fashioned into the form of a blanket, but this is not the only option. The same carded wool can also be stretched into a ribbon (either by simply dividing the blanket into strips or drawing it out) – in this form it is called roving. The form of the ribbon does not change the underlying type of wool into roving, it still remains carded in its internal essence. The approximate thickness of roving is most often equal to the thickness of the hand. Carded wool is useful when laying out the background of the wool painting. Ochet – short fibers of sheep wool, which did not get incorporated into the combed ribbon during the machine’s processing, generally because they did not correspond to the required length. As a rule, Ochet’s nap is soft and pleasant to the touch and can be sold as dyed. It is also much cheaper than carded or tops wool. Ochet is used for making felt, as a substrate for making rugs, and as stuffing for sewn toys. Rovnitsa – this is untwisted woolen thread; something reminiscent of a very thin tops wool, which was collected into a loose tangle. Prefelt – a “non-matching” felt, i.e. the wool fibers are adhered into a stable loose fabric. Masters use it as a basis for wet felting, for decorating products, creating delicate effects, appliques, shibori techniques, etc.